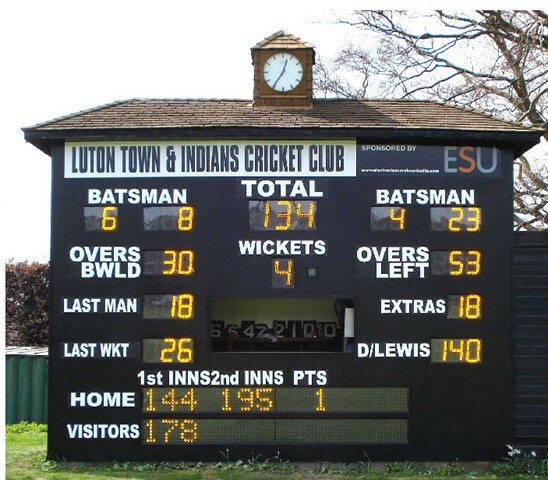 Luton Town & Indians CC host Befordshire county games. 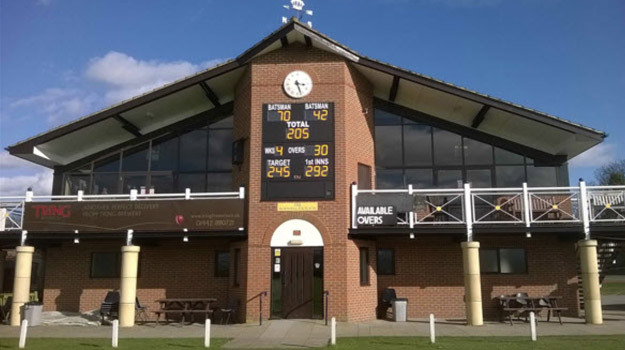 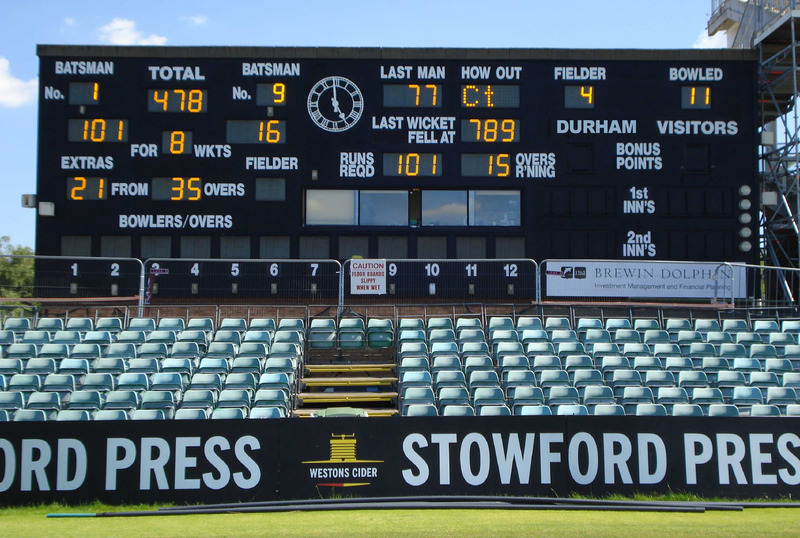 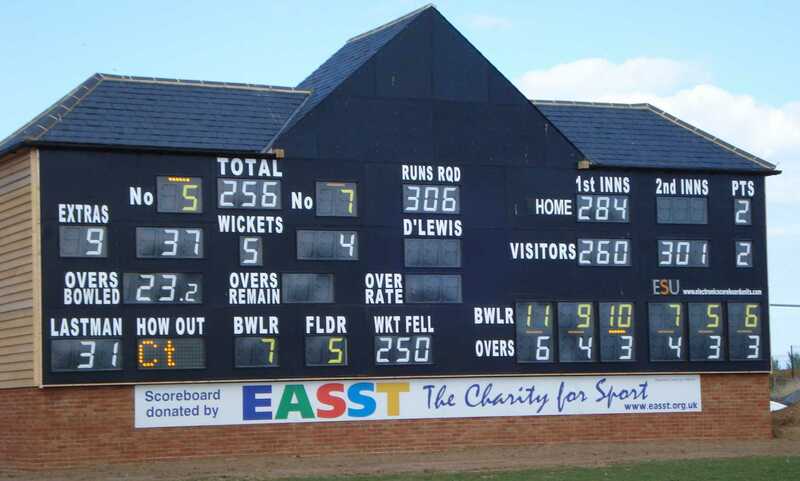 The bottom section shows bowlers and overs during one day games and displays messages and adverts to raise revenue for the club. 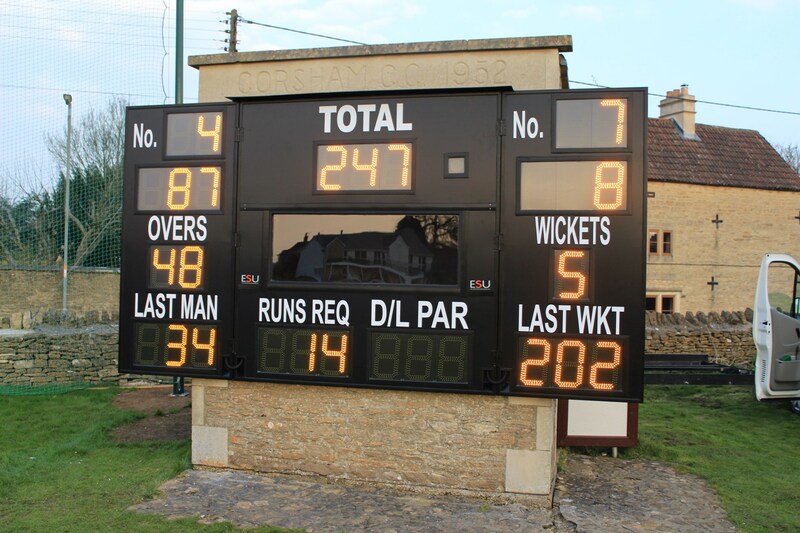 Fold out ‘wings’ enable the small scorebox at Corsham CC to display all the required information. 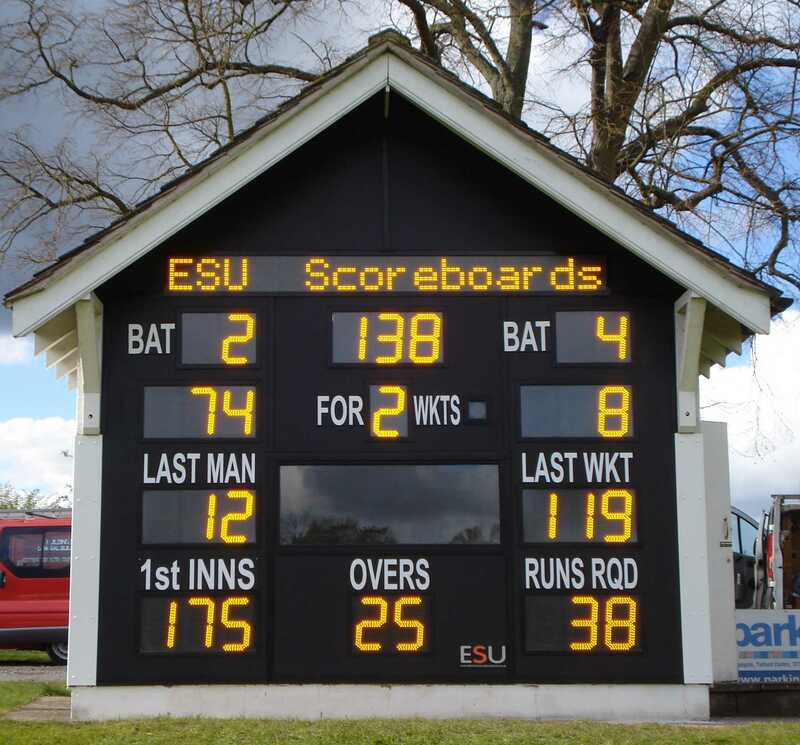 Moving message section on Shifnal CC scoreboard allows display of batting/bowler stats, advertising and general messaging.